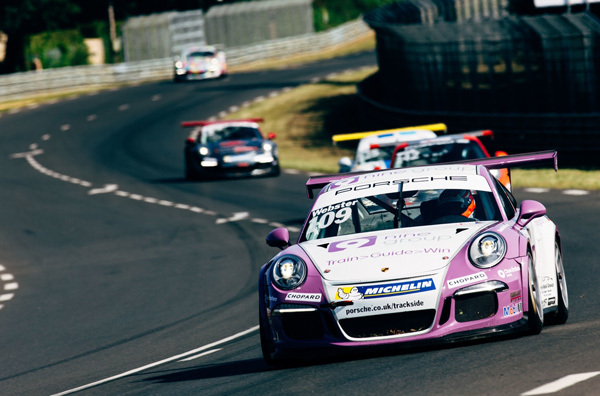 Competitors in the Porsche Carrera Cup GB will have a sensational date in 2014 when it joins the Carrera Cup France as the support race for the Le Mans 24 Hours (10-13 June). 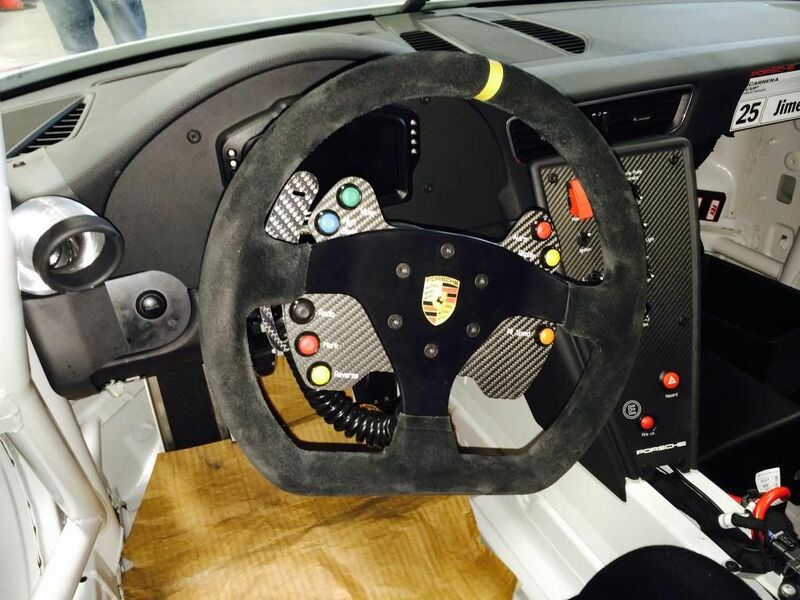 Next year, both Championships will be marked by the debut of the new ‘Type 991’ 911 GT3 Cup race car. 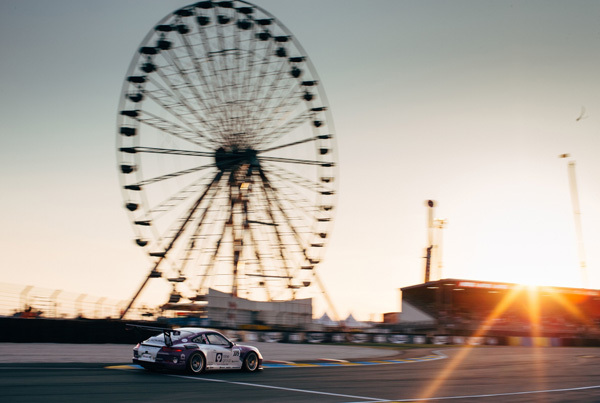 As Porsche returns to compete at the top level of sports car racing, the traditional support race to the 24 Hours will feature the latest version of the iconic, rear-engined 460 hp 911 race car from the British and French Carrera Cups. The invitation will also be extended to drivers from the GT3 Cup Challenge GB, and together the cars will compete on the famous French race track in front of hundreds of thousands of fans gathered for what is arguably the most iconic race in the motor sport calendar - the 24 Heures du Mans. Porsche has triumphed in this gruelling French endurance race a record 16 times, and in 2014 will be challenging once more for top honours - in the LMP1 category. The outline schedule will include testing on Wednesday, qualifying on Thursday, and the race on Saturday morning. 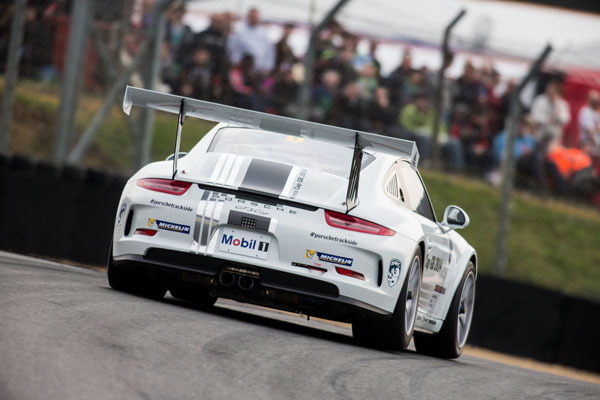 The Carrera Cup GB will stand down from one BTCC event in 2014, the Oulton Park date in June, to retain its 10-event schedule. 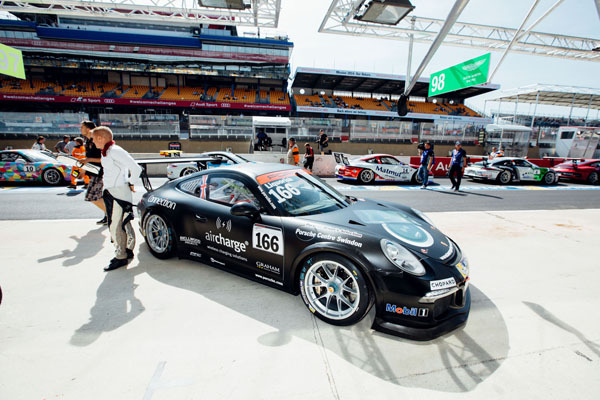 Porsche Carrera Cup GB Scholarship driver Josh Webster (Stowmarket) is preparing for one of the biggest races of his career to date when the Carrera Cup GB joins with the Carrera Cup France as a support race to the world-famous 24-hour race at Le Mans on Saturday 14 June. As Porsche returns to compete at the top level of sports car racing, the traditional support race to the 24 Hours will feature the latest version of the iconic, rear-engined 460 hp 911 race car. 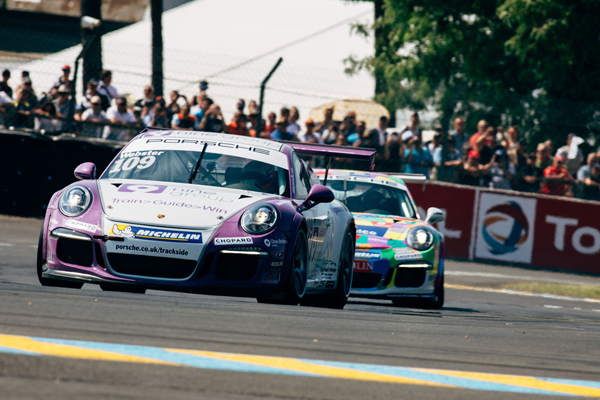 Competitors from the British and French Carrera Cups will compete on the famous French race track in front of hundreds of thousands of fans gathered for what is arguably the most iconic race in the motor sport calendar. 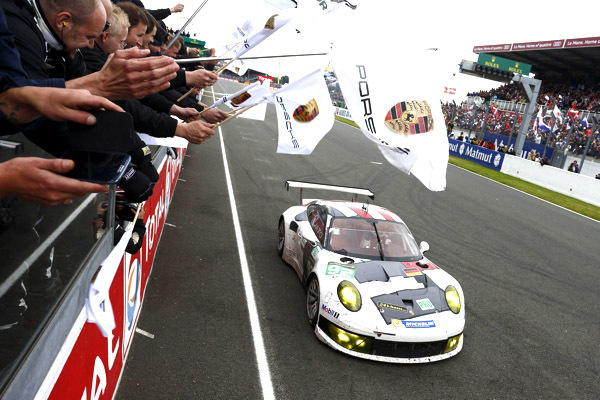 With 16 overall victories, Porsche is the most successful manufacturer in Le Mans history. This year, Porsche returns to Le Mans with the factory-run 919 Hybrid sports prototype race car in the top LMP1 category. “I’ve never been to Le Mans, not even to spectate, so it will be completely new to me,” said Webster (20), who drives for Redline Racing. “I’ve driven it on a simulator so I have an idea where it goes, but it will be difficult to get on top of it in the limited track time available. But most of the drivers haven’t been there before. I think it is going to be one of my favourite tracks as it has got a mixture of everything: quick corners, slow corner and lots of overtaking possibilities. Former Porsche Carrera Cup GB front-runner Ben Barker will return to the championship to spearhead the Parr Motorsport squad in the support race to the world-famous 24-hour race at Le Mans on Saturday 14 June. 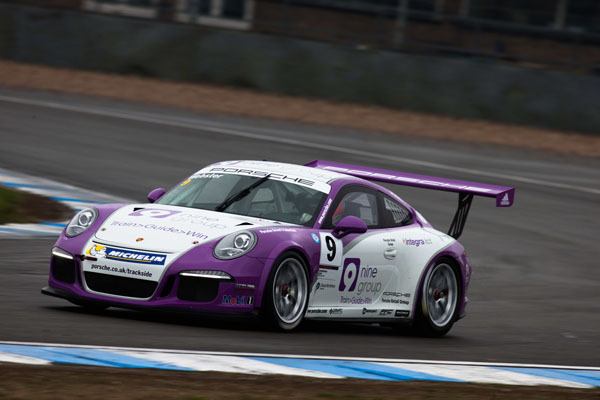 Barker finished runner-up to Michael Meadows in the 2012 Carrera Cup GB. 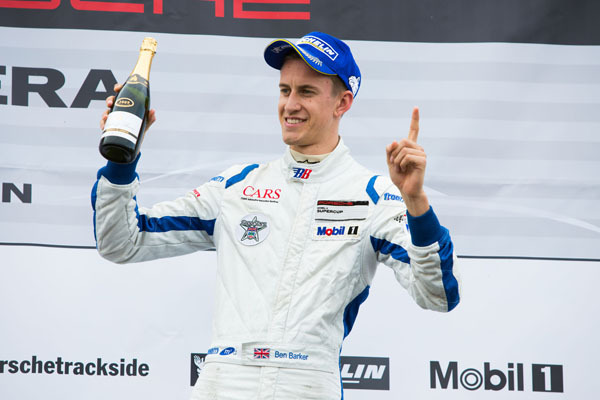 BRDC Superstar Barker has had a successful year so far, winning his category at Bathurst (Australia) in February and taking his maiden podium finish in the opening round of the Porsche Mobil1 Supercup. He is also competing in a Porsche 911 GT3 RSR in the five-race ELMS series, which has already run at Silverstone and Imola in Italy. 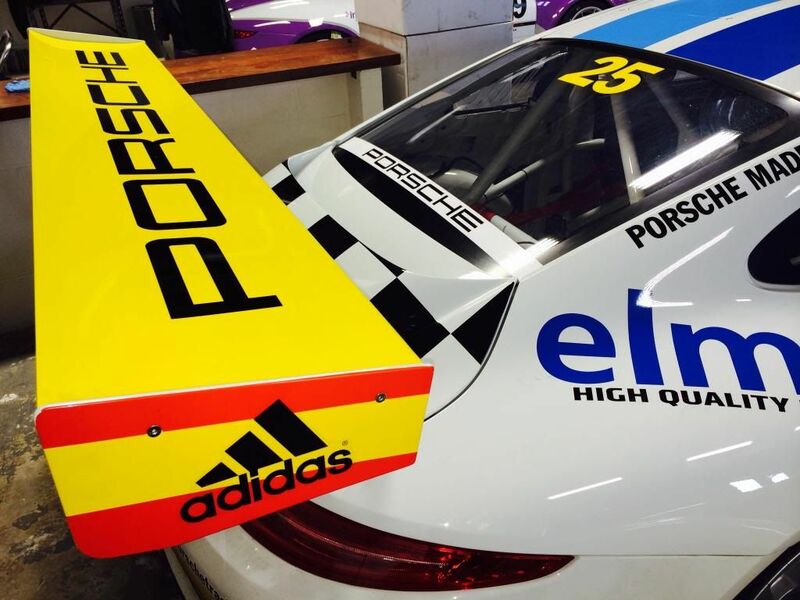 In March he made an appearance in the Carrera Cup GB guest car and took a brace of wins at Brands Hatch. Ahead of the Le Mans race Ben will fly back from Detroit where he will make his debut in the United Sportscar Championship before heading to France to prepare for his first experience of the 13-mile circuit. The race will also be a significant event in the history of Parr as the team celebrates 30 years in 2014. The circuit is a special place for the team after it took a GT2 podium in the 1996 24-hour race. To commemorate the anniversary a special 30-year livery has been designed and will be unveiled at the circuit during the build-up to the race. 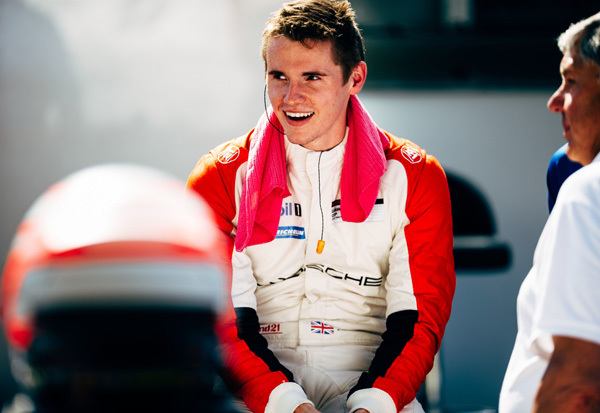 Defending Porsche Carrera Cup GB champion Michael Meadows (Reading) is eager to showcase his speed on the international stage when the Carrera Cup GB joins with the Carrera Cup France as a support race to the world-famous 24-hour race at Le Mans on Saturday 14 June. 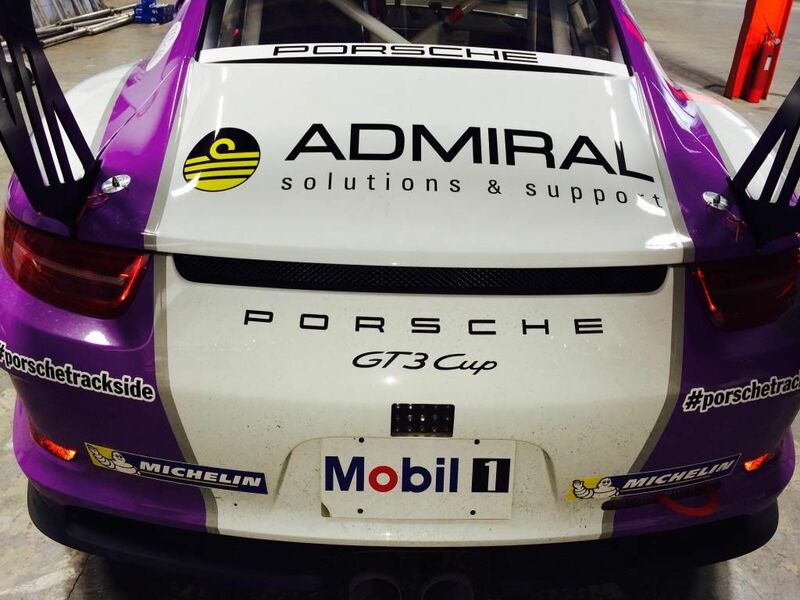 However, like all his fellow Carrera Cup GB drivers, Michael has never raced on the legendary track. “The only thing I’ve ever done at Le Mans is a couple of 24-hour kart races,” he said. “We drove down the Mulsanne Straight on the way to the hotel! 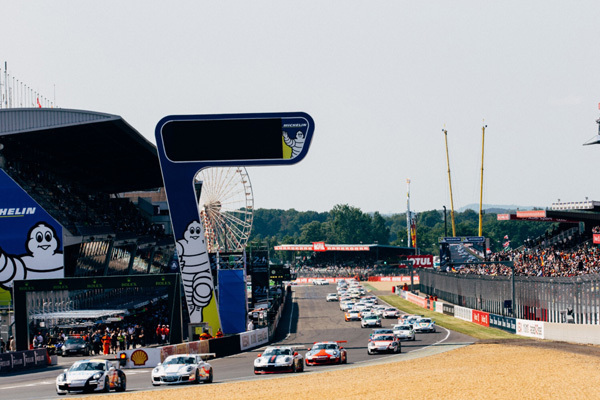 One of the best-known race tracks in the world is the incredible setting for round seven of the Porsche Carrera Cup GB as the championship joins with the Carrera Cup France for a spectacular support race to the Le Mans 24-hour race on the morning of Saturday 14 June. 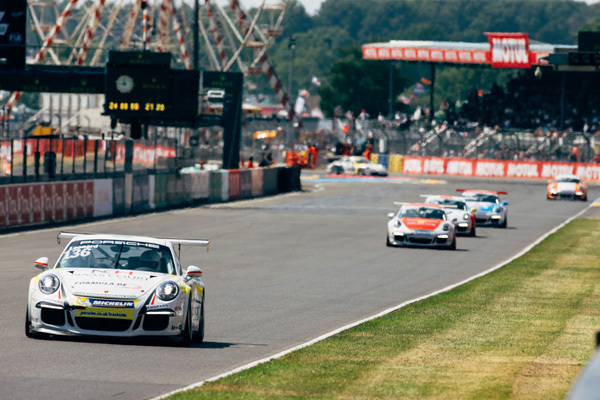 In what will be the highest profile race in the 12-year history of the Carrera Cup GB, drivers will take to the awesome 8-mile track for a 45-minute race during the final build up to the start of the 24-hour marathon. The event has even greater significance as Porsche returns to compete at the top level of sports car racing in the world-famous 24 Hours. 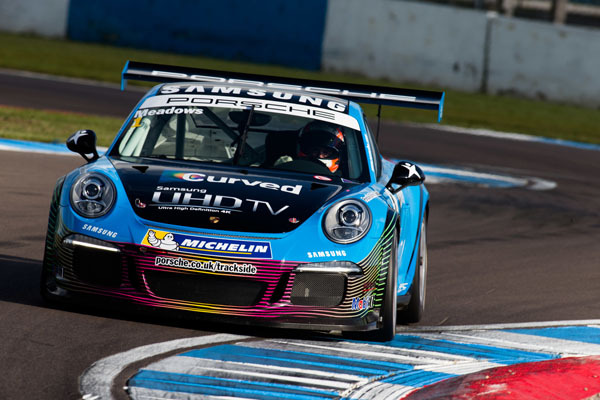 Heading the Carrera Cup GB field is championship leader Michael Meadows (Samsung UHD TV Racing) and he is determined to make his mark in the race by challenging the best of the very strong entry from Carrera Cup France. Meadows heads to Le Mans with a 16-point championship lead but admits that the overall result is more important this weekend than championship points. 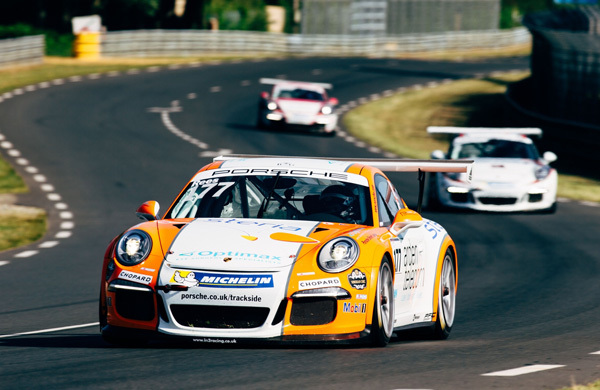 Leading the chase of Meadows in the title race is Carrera Cup Scholarship racer Josh Webster (Redline Racing) and he has shown mighty form in his opening races in the 460hp 911 GT3 Cup. However, a major contender for overall victory rejoins the Carrera Cup GB as Ben Barker heads up the Parr Motorsport squad. 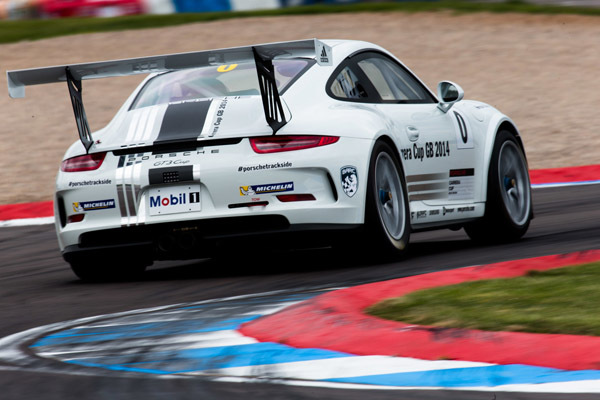 The Porsche Mobil1 Supercup and GT racer will be right at the head of action in this special race. 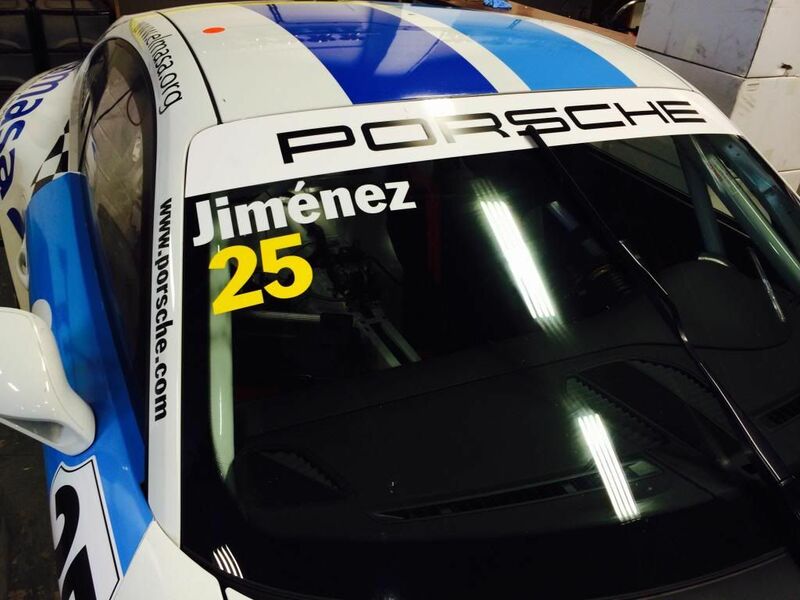 Adding tremendous strength to the Pro field are Victor Jimenez (Redline Racing), Paul Rees (In2 Racing) and young Jake Hill, who returns to the championship with In2 Racing after an impressive debut at Brands Hatch in March. All of them are contenders for the overall podium. 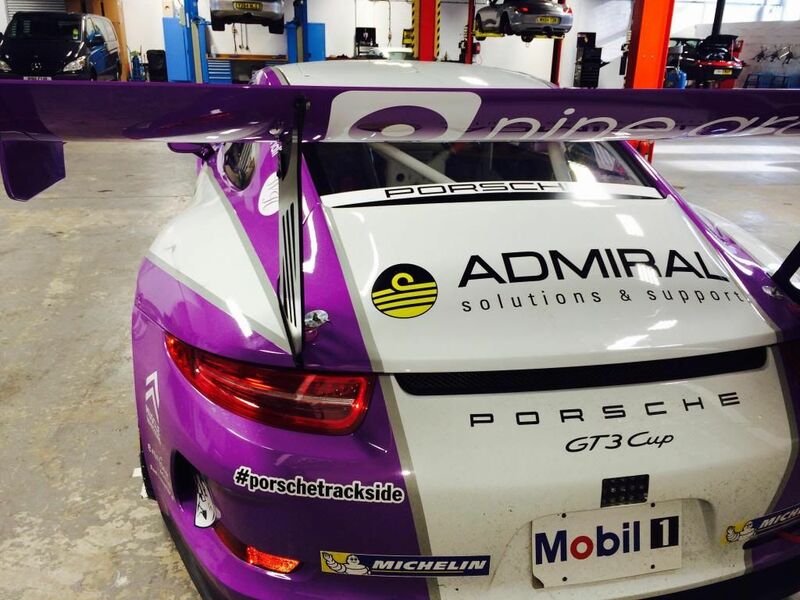 The Pro-Am1 category is headed by Irishman Karl Leonard (Team Parker Racing) and he should be the benchmark. However, Rob Smith (Redline Racing), Graeme Mundy (In2 Racing) and championship newcomer Bill Cameron (Team Parker Racing) are all out to make their mark on this famous track. 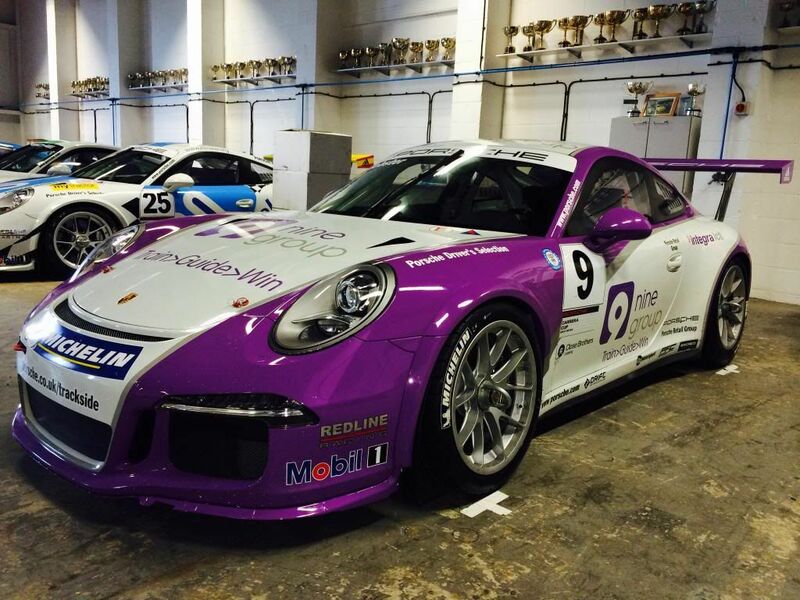 The Pro-Am2 battle promises to be just as tough as category leader Steven Liquorish (Team Parker Racing) resumes his sporting rivalry with Peter Kyle-Henney (Parr Motorsport) and Will Goff (In2 Racing). Racing at Le Mans is a major ambition for all three drivers, so it will be a very special weekend for them. 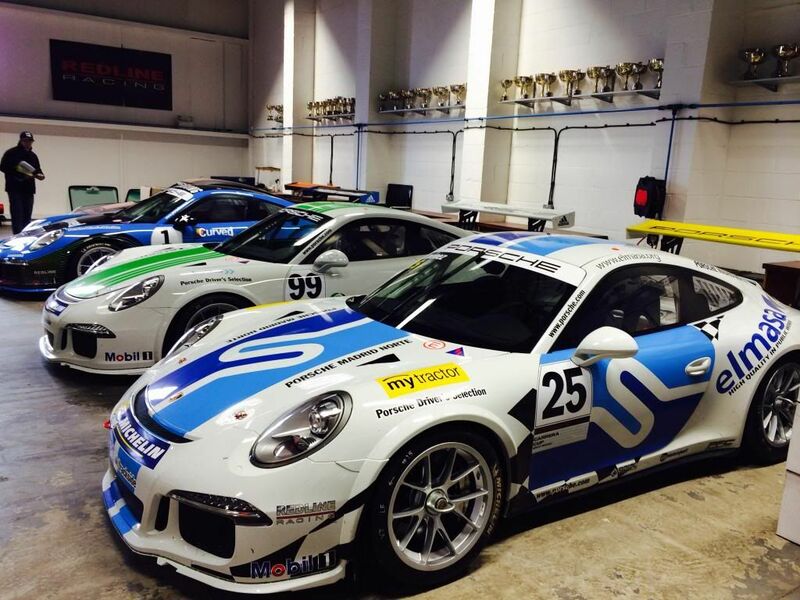 Meanwhile, running alongside the Carrera Cup GB field will be three drivers from the Porsche GT3 Cup Challenge. Peter Smallwood (Parr Motorsport) heads the entry and will travel from his new home in Canada for the race. He will go up against Guy Riall (Redline Racing) and Tom Hallissey (ASK Racing) in this unique opportunity to race at one of the world’s biggest race meetings. After qualifying on Thursday (12 June) at 17.30, round seven of the Carrera Cup GB will start at 11.15 on Saturday (14 June). Renowned journalist Chris Harris will race the Porsche Carrera Cup GB guest car in the support race to the world-famous 24-hour race at Le Mans on Saturday 14 June. 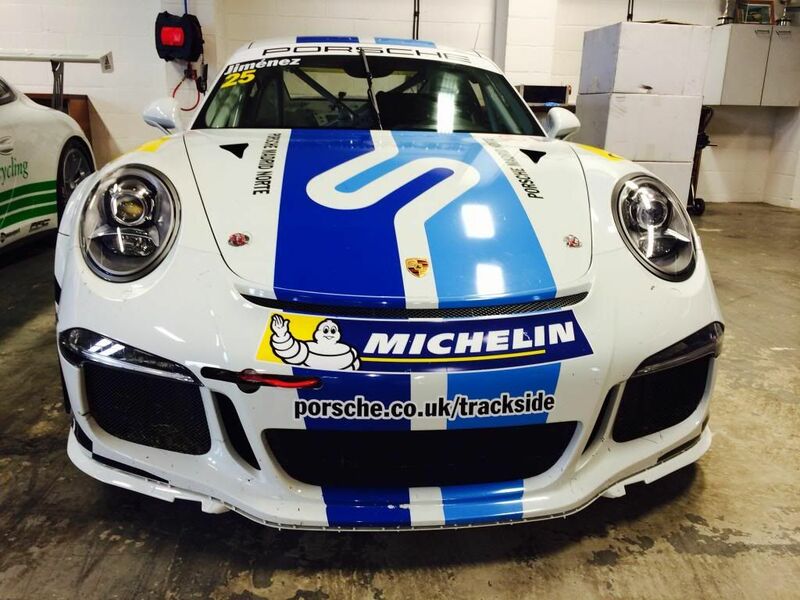 Chris, who has extensive experience in 24-hour races as well as a range of sprint events, will race the latest 460hp 911 GT3 Cup with the Redline Racing team. The chance for Chris to take part in this sensational race is being supported by Ellis Clowes, which will be providing Chris with full insurance along with personal accident cover for the whole event. In return he will carry Ellis Clowes logos on the sills of his car and on his racing overalls. Ellis Clowes has evolved from the well-respected TL Clowes company, the leading provider of professional and personal insurance services to the motor sport industry for more than 30 years. 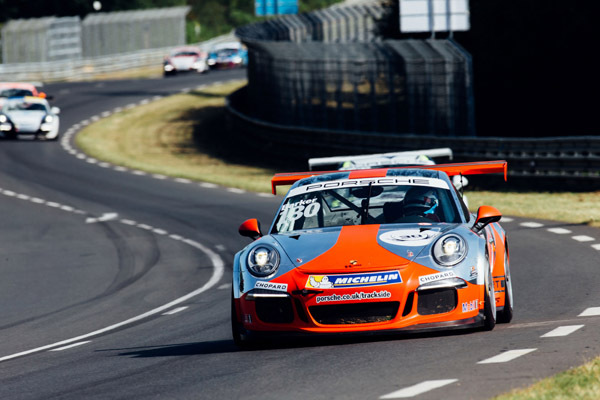 The Le Mans race in the 2014 Porsche Carrera Cup GB will be broadcast live on Motors TV at 11.15am (Central European time) on Saturday 14 June. 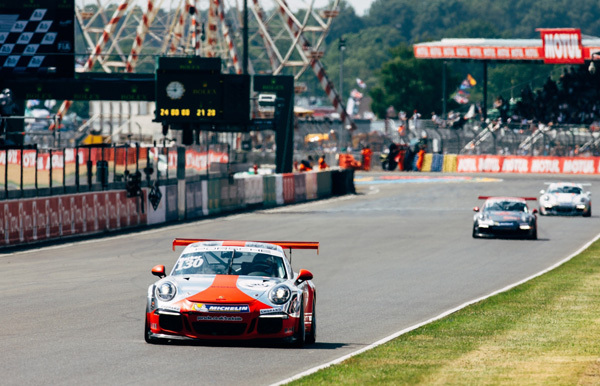 While hundreds of thousands of fans will see the action live at the French track, the Motors TV coverage will allow fans back in the UK to follow the race as the championship joins with the Carrera Cup France for a spectacular support race to the Le Mans 24-hour race. The Motors TV coverage will offer 12 million UK households and viewers right across Europe the chance to watch this very special race as it happens, with leading Carrera Cup GB racers Michael Meadows, Ben Barker and Josh Webster competing in a 60-strong field of 460hp 911 GT3 Cups. 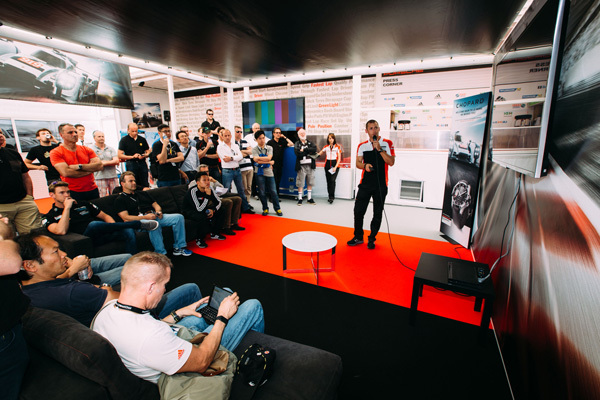 Porsche factory driver Nick Tandy took time out of his build-up to the Le Mans 24-hour race to share his knowledge of the French track with drivers from the Porsche Carrera Cup GB this afternoon (Tuesday 10 June). 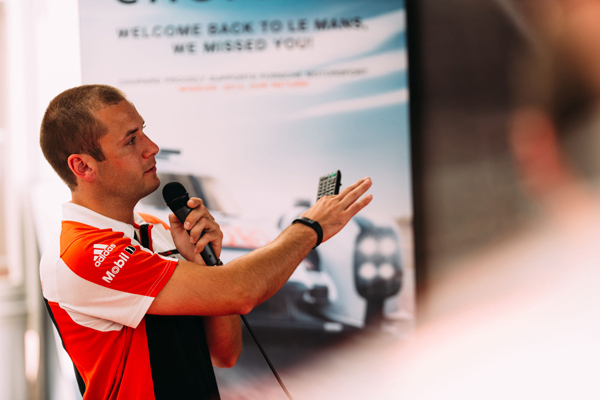 None of the 16 drivers UK-based drivers have raced at Le Mans before, so Tandy talked them around a lap of the world-famous track and discussed the challenge presented by the spectacular eight-mile circuit. 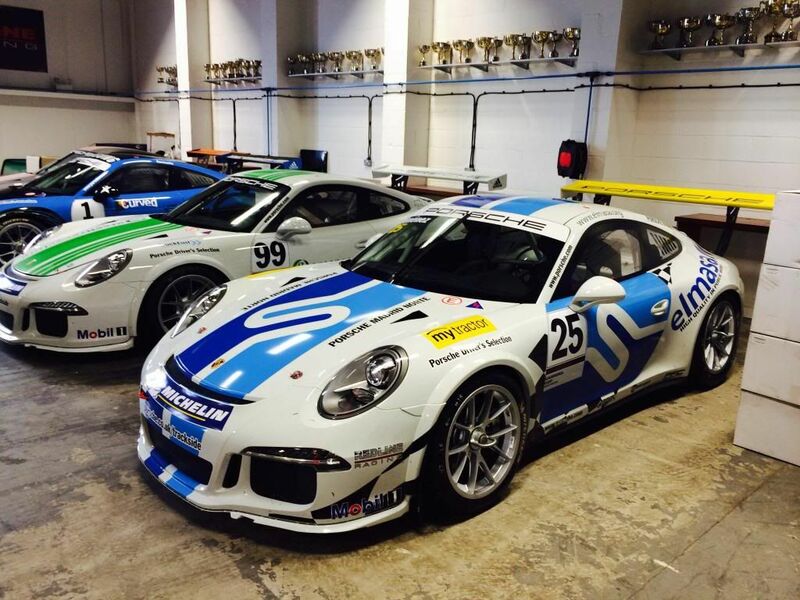 The Carrera Cup GB drivers will first get on track for free practice on Wednesday evening. Tandy said that learning the track in the limited time available was going to be demanding. “For the Carrera Cup GB guys racing here for the first time, the first thing to bear in mind is that it is such a long lap, so you don’t get many laps in the time available,” he said. “The track will rubber up and build grip through the weekend,” he added of the rubber to be laid by cars in the 24-hour race. 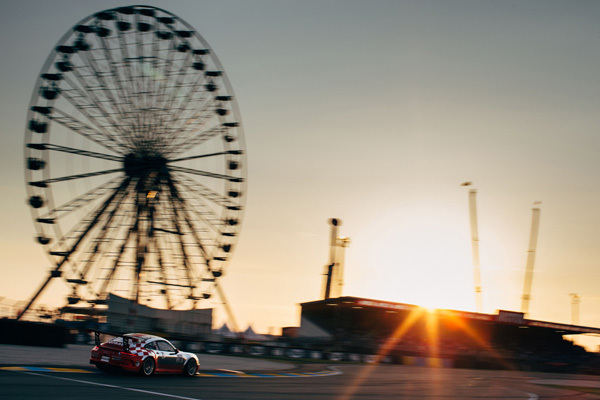 Drivers in the Porsche Carrera Cup GB were bowled over by their first chance to tackle the incredible eight-mile lap at Le Mans during testing this evening (Wednesday 11 June). Ben Barker (Parr Motorsport) set a mighty pace to head the Carrera Cup drivers and take second fastest overall in the 62-strong pack of cars. While Barker headed the British runners, Paul Rees (In2 Racing) had a great session to be second fastest from championship leader Michael Meadows (Samsung UHD TV Racing) as drivers spent the 60-minute session exploring the incredible challenge offered by the famous French track. The sight of 62 cars from Carrera Cup GB and Carrera Cup France lining up in the Le Mans pit lane got the race weekend off to a stunning start. 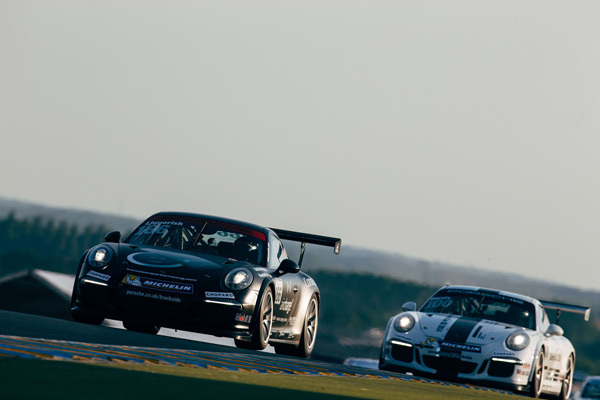 Karl Leonard (Team Parker Racing) and Rob Smith (Redline Racing) battled to be head of Pro-Am1, while Steven Liquorish (Team Parker Racing) set the Pro-Am2 pace and Guy Riall (Almara Racing) turned in an impressive performance to head the GT3 Cup Challenge runners. The cars are back on track for qualifying at 5.30pm on Wednesday afternoon. 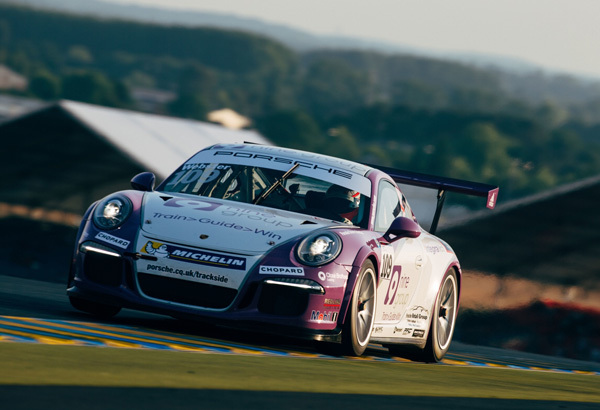 Ben Barker set the pace in the heat of Le Mans to head the Porsche Carrera Cup GB drivers in qualifying for the combined Carrera Cup GB and France race at the French track on Saturday (14 June). Barker (Parr Motorsport) ended the hour-long session fourth overall and at the top of the Carrera Cup GB pack despite two red flags and many yellow flags as 62 drivers tackled the world-famous eight-mile track. Karl Leonard and Steven Liquorish from Team Parker Racing headed Pro-Am1 and Pro-Am2 respectively. The air temperature was nudging 30 degrees when the session started from the magnificent Le Mans pit lane and Barker was immediately trading times with the fastest of the French drivers. Eventually, the difficulty of finding a clear lap cost him a chance of setting overall pole, but fourth fastest and leading GB racer was still a good result. Michael Meadows (Samsung UHD TV Racing) was a strong second while Paul Rees (In2 Racing) continued his excellent Le Mans form to be third ahead of Victor Jimenez and Josh Webster from Redline Racing. In Pro-Am1, the leading trio of Leonard, Rob Smith (Redline Racing) and Graeme Mundy (In2 Racing) were very closely matched and covered by just over two seconds. Meanwhile, in Pro-Am2, Liquorish took a handy margin and Smallwood was clear at the head of the GT3 Cup Challenge runners. The 45-minute race will start at 11.15am on Saturday, ahead of the start of the Le Mans 24-hour race. Pro: 1 Ben Barker 4m04.752s; 2 Michael Meadows 4m05.613s; 3 Paul Rees 4m05.947s. 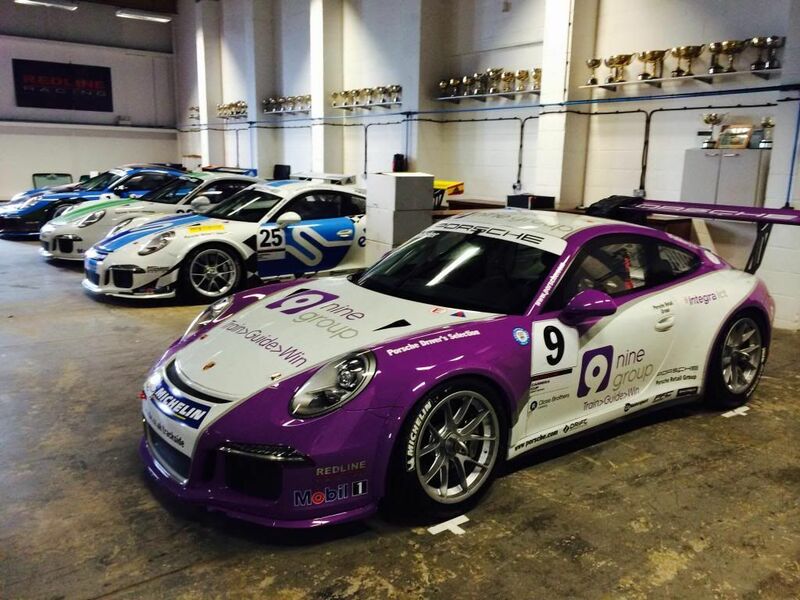 Pro-Am1: 1 Karl Leonard 4m08.640s; 2 Rob Smith 4m09.816s; 3 Graeme Mundy 4m10.841s. Pro-Am2: 1 Steven Liquorish 4m11.913s; 2 Scott Marshall 4m15.527s; 3 Peter Kyle-Henney 4m16.298s. Ben Barker was the star of Le Mans today (Saturday 14 June) with a resounding win in round seven of the Porsche Carrera Cup GB as well as overall race victory as the championship contender joined with drivers from Carrera Cup France for a spectacular race on the famous track during the build-up to the start of the 24-hour race. A magnificent 62-car field included three drivers in the GT3 Cup Challenge GB and truly memorable category victories were taken by Karl Leonard (Pro-Am1), Steven Liquorish (Pro-Am2) and Peter Smallwood (GT3 Cup Challenge). For all the drivers, the chance to tackle this awesome high-speed track on a very special day made it a truly memorable occasion. Barker (Parr Motorsport) was in contention right from the start of the high-speed race and battled into second overall behind race leader Kevin Estre. Then, on the final lap Estre suffered a rear puncture and Barker swept ahead to take a famous win in front of a vast crowd. One of the drives of the race came from Carrera Cup Scholar Josh Webster (Redline Racing) who started down in 15th overall, but raced superbly to fight up to seventh place and second GB racer at the finish. In the closing laps he wriggled ahead of Michael Meadows (Samsung UHD TV Racing) as they both battled furiously with leading French racers. Meanwhile, Paul Rees (In2 Racing) drove a storming race to finish fourth of the GB pack in 14th place after dropping to 35th overall when he was squeezed into a first lap spin. Karl Leonard (Pro-Am1) and Steven Liquorish (Pro-Am2) both turned in fine performances for Team Parker Racing to win their respective divisions. Pro category: 1 Ben Barker; 2 Josh Webster; 3 Michael Meadows. Pro-Am1 category: 1 Karl Leonard; 2 Rob Smith; 3 Graeme Mundy. Pro-Am2 category: 1 Steven Liquorish; 2 Scott Marshall; 3 Bill Cameron. 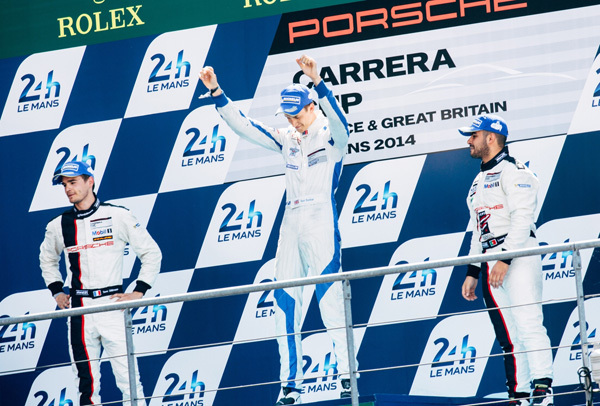 Ben Barker says that his Porsche Carrera Cup GB victory at Le Mans (14 June) is one of the highest points of his racing career to date after he took overall victory in the combined race with the Carrera Cup France on the morning of the world-famous 24-hour race. 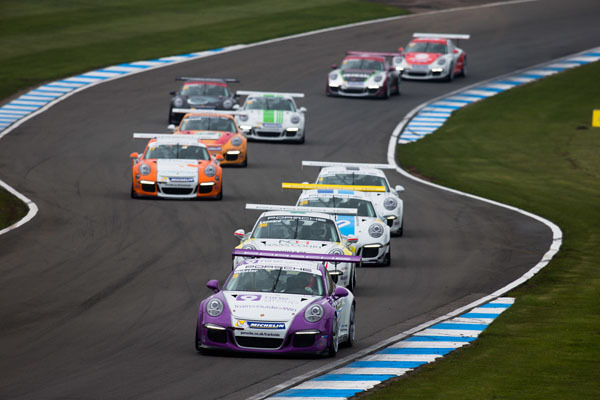 In the highest profile race in the 12-year and 226-race history of the Carrera Cup GB, drivers took to the awesome 8-mile track for a 45-minute race during the final build up to the start of the 24-hour marathon. The event had even greater significance as Porsche returned to compete at the top level of sports car racing. 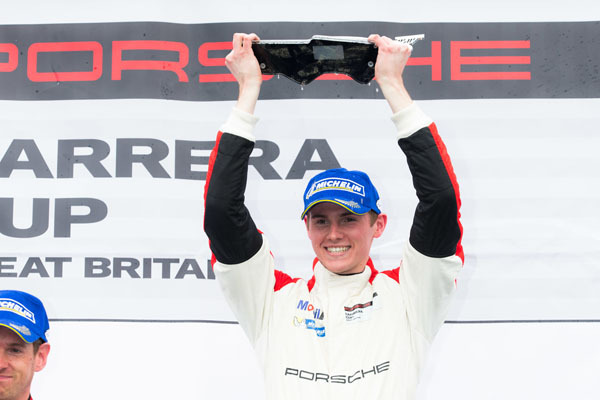 Barker, who was Carrera Cup GB runner-up in 2012, returned to the championship with Parr Motorsport for the Le Mans race and promptly took overall victory from a field of 62 911 GT3 Cups. Barker’s victory was the ultimate celebration of Parr’s 30 years in motor racing, which Paul Robe’s team marked at Le Mans. Three generations of the Robe family were on hand to support Barker as Paul was joined in the team by his father Ray and his son Declan. 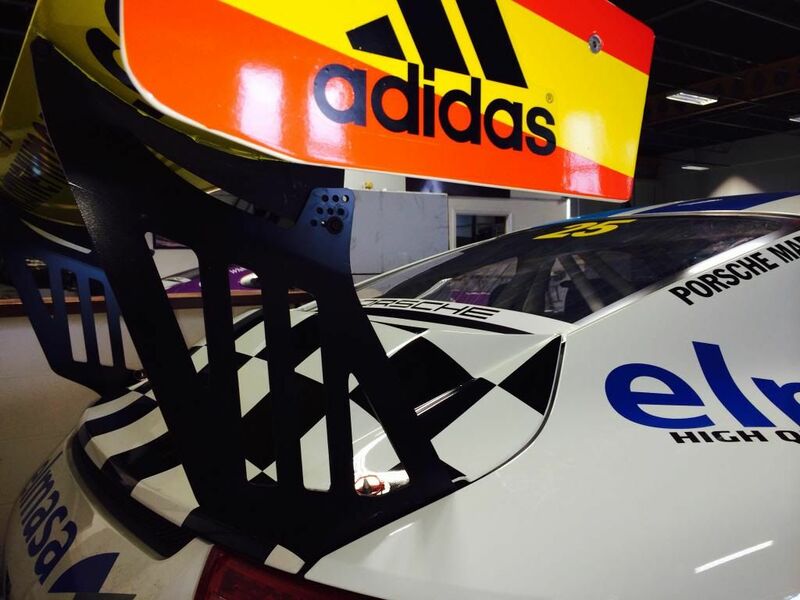 “I wanted to go there and win, because I knew that I had the pace against the other Porsche Supercup drivers,” said Barker. “It didn’t quite go our way in qualifying and we were P4, but we could race from there. I got into P3 and then I was there to collect the pieces. I had good pace to be up there and it was absolutely sensational to win. 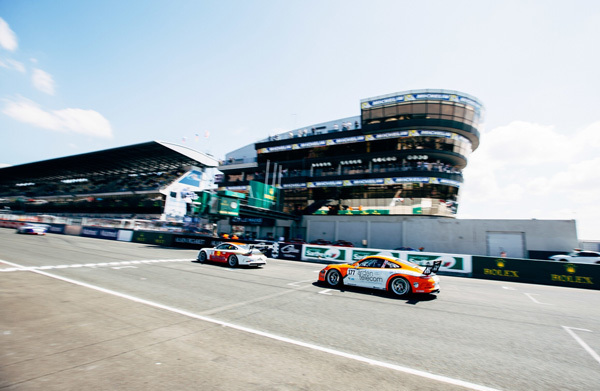 Paul Rees had his best race to date in the Porsche Carrera Cup GB when the championship contenders raced at Le Mans (14 June) alongside the Carrera Cup France on the morning of the world-famous 24-hour race. Rees (In2 Racing) showed fine pace all weekend and qualified third among the GB racers with 12th fastest time overall in the 62-car field. Then, in the race he was knocked into a spin early on the first lap but tigered back from 35th place to finish 14th in the 45-minute race. In the course of a stirring recovery drive, he set the sixth fastest race lap overall. “On the first lap I went down to what felt like dead last,” said Rees. “I was side-by-side into the first chicane and I had zero room and got knocked straight round. I was giving him a lot of room because I wanted to get through the first corner and then get racing. I went down to about 35th place and then I fought so hard and really did drive my heart out. 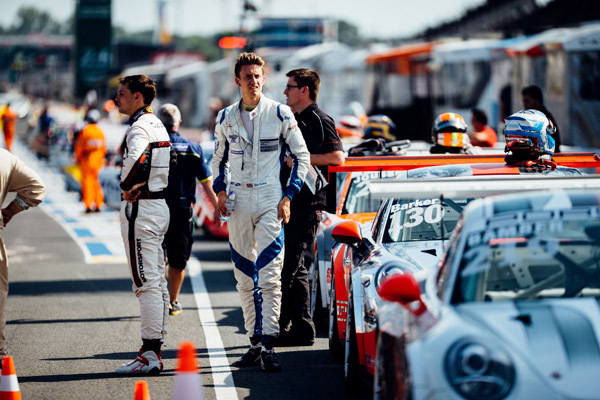 Josh Webster was one of the stars of the race when the Porsche Carrera Cup GB raced at Le Mans (14 June) alongside the Carrera Cup France on the morning of the world-famous 24-hour race. 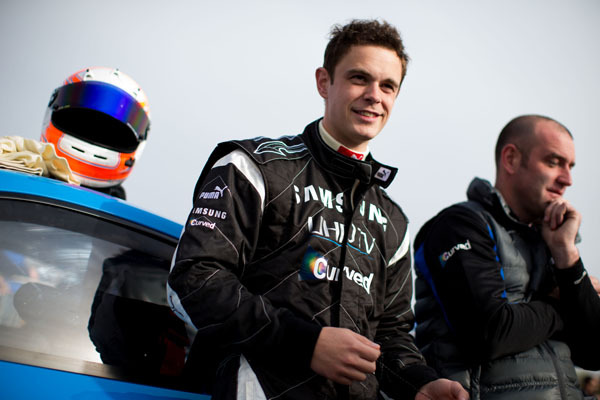 Carrera Cup GB Scholarship driver Webster (20) raced from 18th on the grid to finish seventh and second of the GB racers. His performance for Redline Racing earned him the championship’s ‘driver of the race’ award. “It was an absolutely awesome race,” said Webster after his first experience of racing on the high-speed French track. “Just to be there was mind-blowing and it was a bit emotional to finish my first race at Le Mans: and what a fantastic race. I started 18th and finished seventh. “The car was fantastic and I just managed to pip Michael Meadows in the race. I got by him a few laps from the end and just managed to hold him off. I was also challenging the people in front of me. With another lap, maybe I could have challenged for fifth or sixth place. I just thought I'd chip in with a few photos from Redline Racing of Webster's and Jimenez's cars at home when they're not in the office, taken when my daily shopper was having a little job done recently.